Item Weight - 40.000 lbs. Includes: 1 wheel and 1 tire;17 XHD Wheel with black satin finish;37x12.50x17 Mickey Thompson ATZ P3 Tire;Mounted and balanced with TPMS Sensor;Includes one tire and one wheel, mounted and balanced;For a set order quantity 4;California Residents: WARNING This wheel and tire package from Rugged Ridge fits 13-18 Jeep Wrangler JK. It includes a 17 inch black satin XHD wheel and a 37x12.50x17 Mickey Thompson ATZ P3 tire. The tire is mounted and balanced with a TPMS sensor. Note: To fit our 2013-2018 Wheel and Tire Packages on 2007-2012 Jeep Wrangler JK applications, we recommend removing the TPMS sensors in our tire-wheel combos and re-using the existing factory Tire Pressure Monitoring System (TPMS) sensors instead. Includes: 1 wheel and 1 tire;17 XHD Wheel with silver finish;37x12.50x17 Mickey Thompson ATZ P3 Tire;Mounted and balanced with TPMS Sensor;Includes one tire and one wheel, mounted and balanced;For a set order quantity 4;California Residents: WARNING This wheel and tire package from Rugged Ridge fits 13-18 Jeep Wrangler JK. It includes a 17 inch silver XHD wheel and a 37x12.50x17 Mickey Thompson ATZ P3 tire. The tire is mounted and balanced with a TPMS sensor. Note: To fit our 2013-2018 Wheel and Tire Packages on 2007-2012 Jeep Wrangler JK applications, we recommend removing the TPMS sensors in our tire-wheel combos and re-using the existing factory Tire Pressure Monitoring System (TPMS) sensors instead. Includes: 1 wheel and 1 tire;17 XHD Wheel with gun metal finish;37x12.50x17 Mickey Thompson ATZ P3 Tire;Mounted and balanced with TPMS Sensor;Includes one tire and one wheel, mounted and balanced;For a set order quantity 4;California Residents: WARNING This wheel and tire combo from Rugged Ridge fits 13-18 Jeep Wrangler. It includes a 17 inch gun metal XHD wheel and a 37x12.50x17 Mickey Thompson ATZ P3 tire. The tire is mounted and balanced with a TPMS sensor. 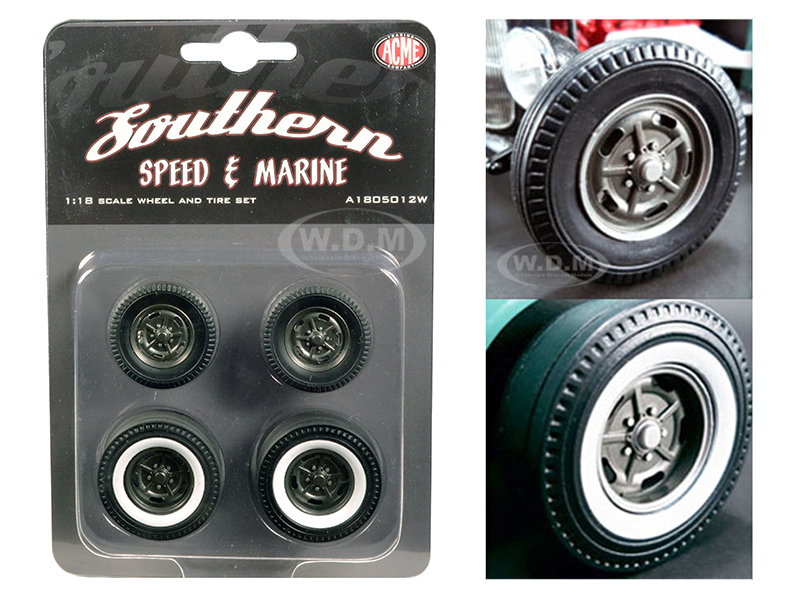 Note: To fit our 2013-2018 Wheel and Tire Packages on 2007-2012 Jeep Wrangler applications, we recommend removing the TPMS sensors in our tire-wheel combos and re-using the existing factory Tire Pressure Monitoring System (TPMS) sensors instead. Includes: 1 wheel and 1 tire;17 XHD Wheel with black stain finish;305/65R17 Mickey Thompson ATZ P3 Tire;Mounted and balanced with TPMS Sensor;Includes: 1 wheel and 1 tire;Includes one tire and one wheel, mounted and balanced;For a set order quantity 4;California Residents: WARNING This wheel and tire package from Rugged Ridge fits 13-18 Jeep Wrangler JK. It includes a 17 inch black satin XHD wheel and a 305/65R17 Mickey Thompson ATZ P3 tire. The tire is mounted and balanced with a TPMS sensor. Note: To fit our 2013-2018 Wheel and Tire Packages on 2007-2012 Jeep Wrangler JK applications, we recommend removing the TPMS sensors in our tire-wheel combos and re-using the existing factory Tire Pressure Monitoring System (TPMS) sensors instead. Includes: 1 wheel and 1 tire;17 XHD Wheel with gun metal finish;305/65R17 Mickey Thompson ATZ P3 Tire;Mounted and balanced with TPMS Sensor;Includes one tire and one wheel, mounted and balanced;For a set order quantity 4;California Residents: WARNING This wheel and tire package from Rugged Ridge fits 13-18 Jeep Wrangler JK. It includes a 17 inch gun metal XHD wheel and a 305/65R17 Mickey Thompson ATZ P3 tire. The tire is mounted and balanced with a TPMS sensor. Note: To fit our 2013-2018 Wheel and Tire Packages on 2007-2012 Jeep Wrangler JK applications, we recommend removing the TPMS sensors in our tire-wheel combos and re-using the existing factory Tire Pressure Monitoring System (TPMS) sensors instead. Includes: 1 wheel and 1 tire;17 XHD Wheel with silver finish;305/65R17 Mickey Thompson ATZ P3 Tire;Mounted and balanced with TPMS Sensor;Includes one tire and one wheel, mounted and balanced;For a set order quantity 4;California Residents: WARNING This wheel and tire package from Rugged Ridge fits 13-18 Jeep Wrangler JK. It includes a 17 inch silver XHD wheel and a 305/65R17 Mickey Thompson ATZ P3 tire. The tire is mounted and balanced with a TPMS sensor. Note: To fit our 2013-2018 Wheel and Tire Packages on 2007-2012 Jeep Wrangler JK applications, we recommend removing the TPMS sensors in our tire-wheel combos and re-using the existing factory Tire Pressure Monitoring System (TPMS) sensors instead. Includes: 1 wheel and 1 tire;17 Drakon wheel in black satin finish;305/65R17 Mickey Thompson ATZ P3 Tire;Mounted and balanced with TPMS Sensor;Includes one tire and one wheel, mounted and balanced;For a set order quantity 4;California Residents: WARNING This wheel and tire package from Rugged Ridge fits 13-18 Jeep Wrangler JK. It includes a 17 inch black satin Drakon wheel and a 305/65R17 Mickey Thompson ATZ P3 tire. The tire is mounted and balanced with a TPMS sensor. Note: To fit our 2013-2018 Wheel and Tire Packages on 2007-2012 Jeep Wrangler JK applications, we recommend removing the TPMS sensors in our tire-wheel combos and re-using the existing factory Tire Pressure Monitoring System (TPMS) sensors instead. Includes: 1 wheel and 1 tire;17 XHD Wheel with black satin finish;315/70R17 Mickey Thompson ATZ P3 Tire;Mounted and balanced with TPMS Sensor;Includes one tire and one wheel, mounted and balanced;For a set order quantity 4;California Residents: WARNING Rugged Ridge offers the best option for wheel and tire packages! This wheel & tire package includes a 17-inch black satin XHD wheel offering a new, sleek patent pending design that takes style to a whole new level and a 315/70R17 (size equivalent to 34X12.50 R17) Mickey Thompson ATZ P3 tire. The tire is mounted & balanced with a TPMS sensor. Includes: 1 wheel and 1 tire;17 XHD Wheel with gun metal finish;315/70R17 Mickey Thompson ATZ P3 Tire;Mounted and balanced with TPMS Sensor;Includes one tire and one wheel, mounted and balanced;For a set order quantity 4;California Residents: WARNING This wheel and tire package from Rugged Ridge fits 13-18 Jeep Wrangler JK. It includes a 17 inch gun metal XHD wheel and a 315/70R17 Mickey Thompson ATZ P3 tire. The tire is mounted and balanced with a TPMS sensor. Note: To fit our 2013-2018 Wheel and Tire Packages on 2007-2012 Jeep Wrangler JK applications, we recommend removing the TPMS sensors in our tire-wheel combos and re-using the existing factory Tire Pressure Monitoring System (TPMS) sensors instead. Includes: 1 wheel and 1 tire;17 XHD Wheel with silver finish;315/70R17 Mickey Thompson ATZ P3 Tire;Mounted and balanced with TPMS Sensor;Includes one tire and one wheel, mounted and balanced;For a set order quantity 4;California Residents: WARNING This wheel and tire package from Rugged Ridge fits 13-18 Jeep Wrangler JK. It includes a 17 inch silver XHD wheel and a 315/70R17 Mickey Thompson ATZ P3 tire. The tire is mounted and balanced with a TPMS sensor. Note: To fit our 2013-2018 Wheel and Tire Packages on 2007-2012 Jeep Wrangler JK applications, we recommend removing the TPMS sensors in our tire-wheel combos and re-using the existing factory Tire Pressure Monitoring System (TPMS) sensors instead. Includes: 1 wheel and 1 tire;17 Drakon Wheel with gun metal finish;305/65R17 Mickey Thompson ATZ P3 Tires;Mounted and balanced with TPMS Sensor;Includes one tire and one wheel, mounted and balanced;For a set order quantity 4;California Residents: WARNING This wheel and tire package from Rugged Ridge fits 13-18 Jeep Wrangler JK. It includes a 17 inch gun metal Drakon wheel and a 305/65R17 Mickey Thompson ATZ P3 tire. The tire is mounted and balanced with a TPMS sensor. Note: To fit our 2013-2018 Wheel and Tire Packages on 2007-2012 Jeep Wrangler JK applications, we recommend removing the TPMS sensors in our tire-wheel combos and re-using the existing factory Tire Pressure Monitoring System (TPMS) sensors instead. Includes: 1 wheel and 1 tire;17 Drakon Wheel with black satin finish;315/70R17 Mickey Thompson ATZ P3 Tire;Mounted and balanced with TPMS Sensor;Includes one tire and one wheel, mounted and balanced;For a set order quantity 4;California Residents: WARNING This wheel and tire package from Rugged Ridge fits 13-18 Jeep Wrangler JK. It includes a 17 inch black satin Drakon wheel and a 315/70R17 Mickey Thompson ATZ P3 tire. The tire is mounted and balanced with a TPMS sensor. Note: To fit our 2013-2018 Wheel and Tire Packages on 2007-2012 Jeep Wrangler JK applications, we recommend removing the TPMS sensors in our tire-wheel combos and re-using the existing factory Tire Pressure Monitoring System (TPMS) sensors instead. Includes: 1 wheel and 1 tire;17 Drakon Wheel with gun metal finish;315/70R17 Mickey Thompson ATZ P3 Tire;Mounted and balanced with TPMS Sensor;Includes one tire and one wheel, mounted and balanced;For a set order quantity 4;California Residents: WARNING This wheel and tire package from Rugged Ridge fits 13-18 Jeep Wrangler JK. It includes a 17 inch gun metal XHD wheel and a 315/70R17 Mickey Thompson ATZ P3 tire. The tire is mounted and balanced with a TPMS sensor. Note: To fit our 2013-2018 Wheel and Tire Packages on 2007-2012 Jeep Wrangler JK applications, we recommend removing the TPMS sensors in our tire-wheel combos and re-using the existing factory Tire Pressure Monitoring System (TPMS) sensors instead. Includes: 1 wheel and 1 tire;17 Drakon Wheel with black satin finish;35x12.50x17 Mickey Thompson ATZ P3 Tire;Bolt Pattern: 5 on 5;Mounted and balanced with TPMS Sensor;Includes one tire and one wheel, mounted and balanced;For a set order quantity 4;California Residents: WARNING This wheel and tire package from Rugged Ridge fits 13-18 Jeep Wrangler JK. It includes a 17 inch black satin Drakon wheel and a 315/70R17 Mickey Thompson ATZ P3 tire. The tire is mounted and balanced with a TPMS sensor. Note: To fit our 2013-2018 Wheel and Tire Packages on 2007-2012 Jeep Wrangler JK applications, we recommend removing the TPMS sensors in our tire-wheel combos and re-using the existing factory Tire Pressure Monitoring System (TPMS) sensors instead.